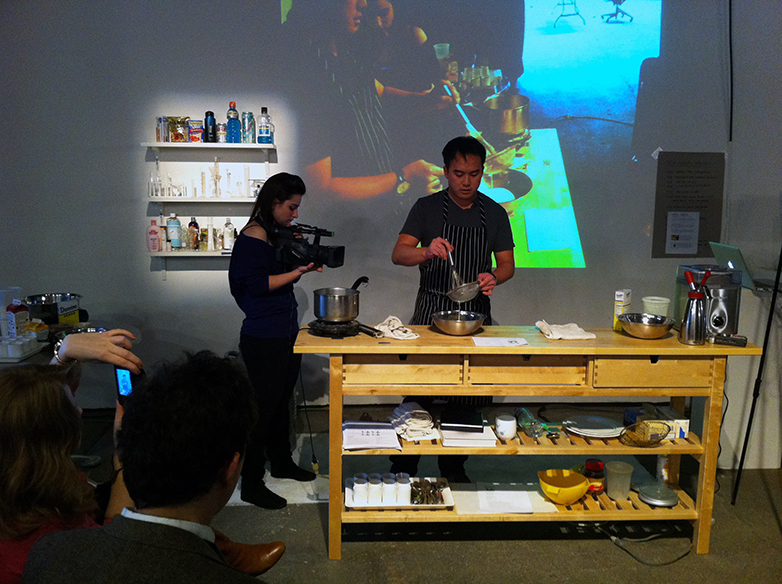 The Counter Kitchen was a collaboration with Stefani Bardin from 2010-2011 at Eyebeam Art + Technology Center in New York City. The Counter Kitchen was a R&D/live performance lab for reverse engineering everyday products, like Johnson’s Baby Lotion, Breyer’s Ice Cream and Gatorade. The labels we easily recognize, but the ingredients not very well. After we took the products apart, we put them back together with the help of many friends and experts.